Picking the perfect party invitation is the first step in a putting together the perfect party! I am a firm believer in a physical, paper invite. I know that evites and Facebook invites are all the rage now but there is nothing quite like receiving a pretty paper invitation in the mail addressed to you. 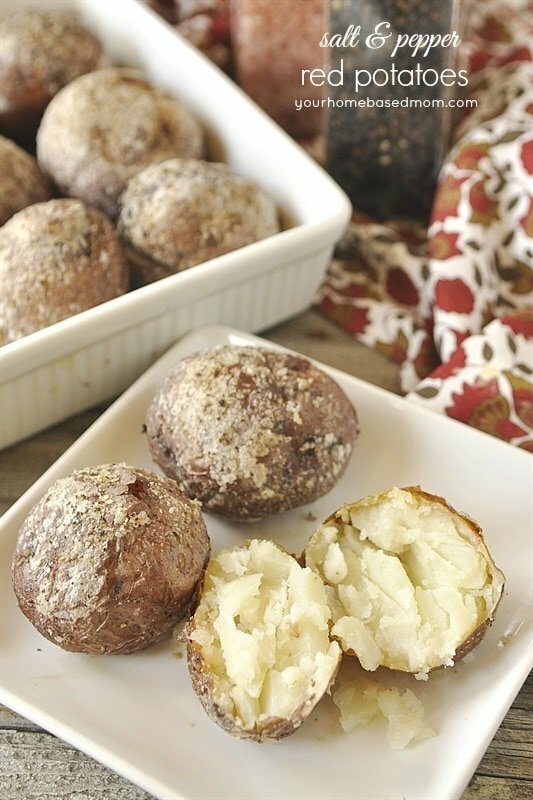 The sense of anticipation as you open it and the excitement of being invited can’t be beat! And the invitation looks pretty hanging on your refrigerator or bulletin board as you wait for the party to happen!! I also think that the invite sets the mood and the expectations for the party. When you receive a pretty invite in the mail, you know it’s going to be a good party! My favorite go to place for pretty invitations is Minted. The site is amazing and you will get lost in all the amazing possibilities! It’s also a good place to start when you are trying to decide on a theme or a look for your party. A great party starts with a great invite!! Over the last few months, with all our wedding festivities, I’ve sent out a few invitations. 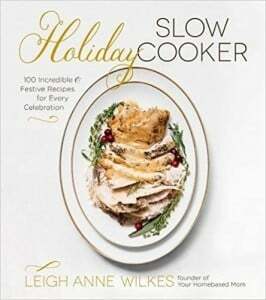 The first one was to the bridal shower I hosted for my then future daughter in law. 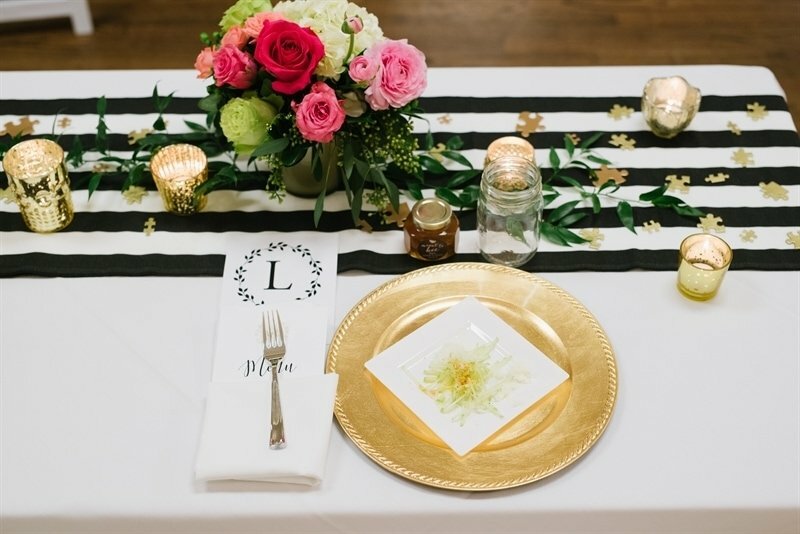 You can see all the details from the bridal shower here. 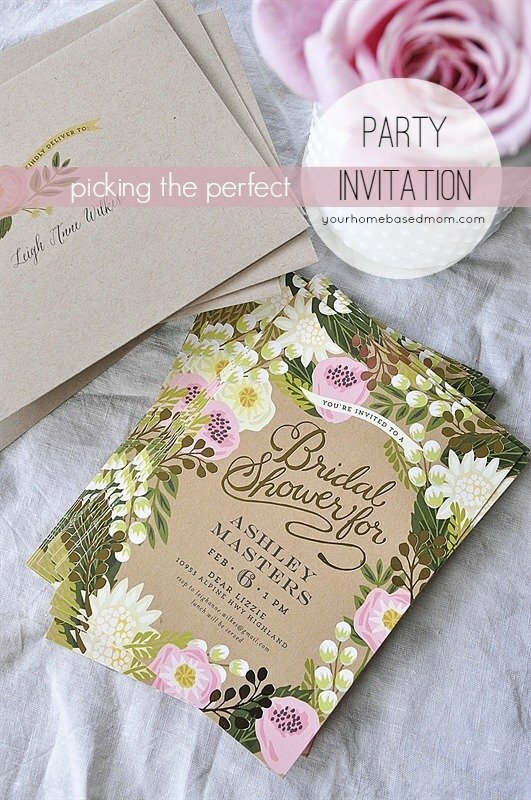 I wanted the invite to be pretty and feminine to match the feeling of the venue where the bridal shower would be. 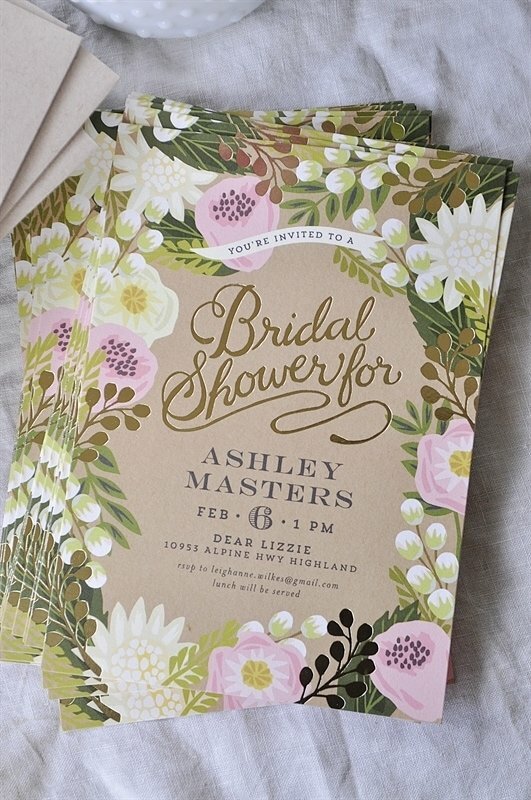 I fell in love with this Floral Canopy Bridal Shower invite as soon as I saw it. 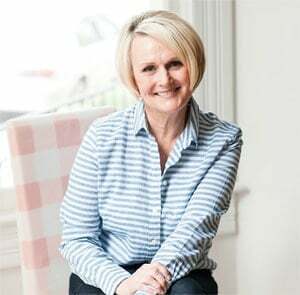 Minted will even address your cards for you if you like! 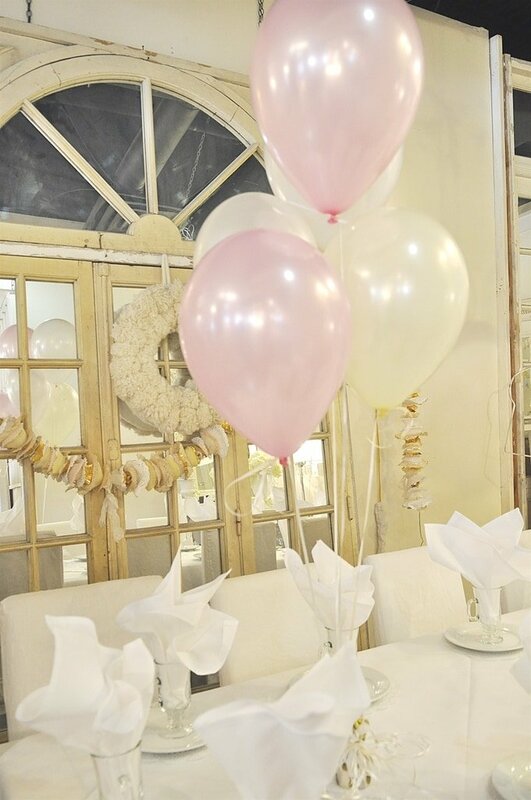 Here is the pretty venue we held the bridal shower at and the invite helped set the mood. I loved the invite so much, I even used it as inspiration for the backdrop for the family wedding dinner we held the night before the wedding. The next party on my list was our Family Wedding Dinner which was the night before the wedding. I was going for a fun Kate Spade inspired look with a color scheme of black, white and gold and a splash of pink. 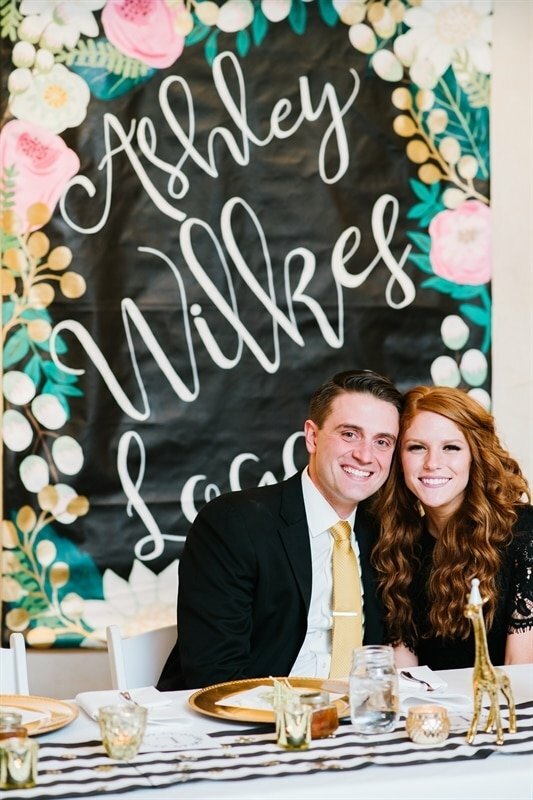 I was using black and white striped table runners so when I found this invite, I knew it was the perfect one. 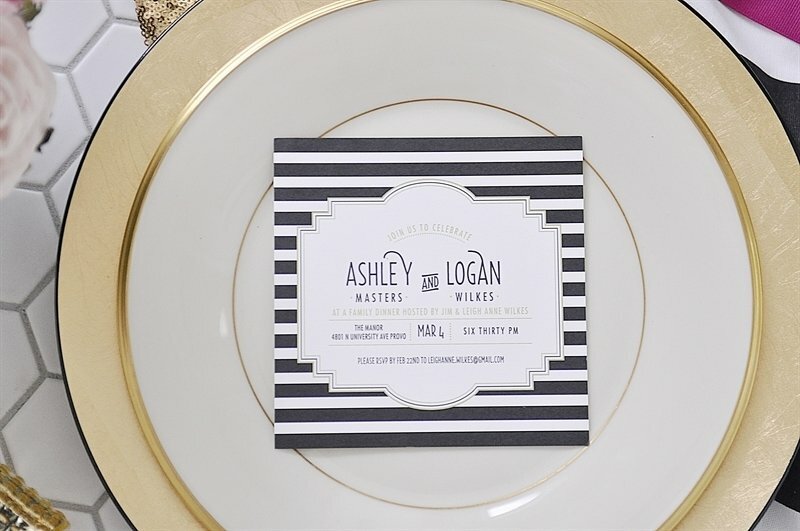 The Ascot Chic Rehearsal Dinner invite fit the tone and feel of the party perfectly! 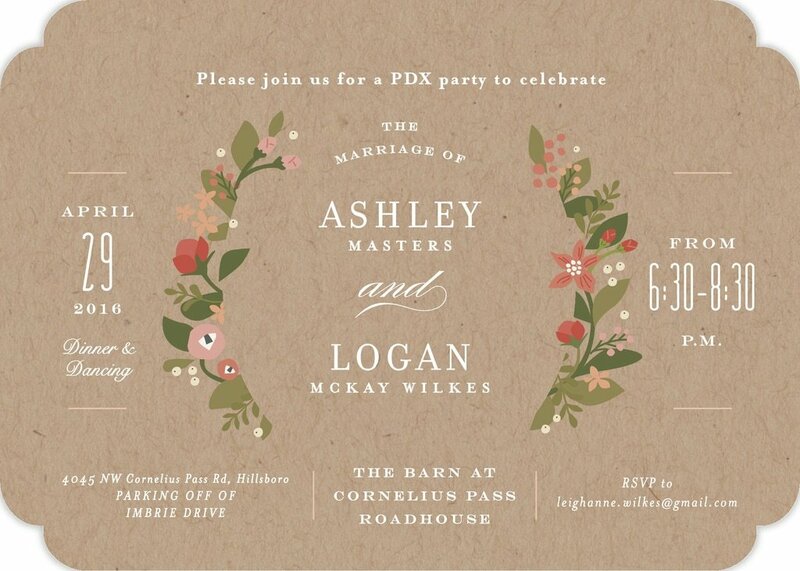 And the final invite I used was the one for our PDX Wedding Party. Since the wedding took place in Utah, this last weekend we hosted a fun wedding party here in Portland so that all of our friends and Logan’s friends could celebrate with the happy couple. I can’t wait to share all the details of this party with you here on the blog, watch for it later this week!! Our party was held in a 100 year old barn and I was using lots of white candles and flowers to decorate with so when I saw this invite, I knew it was the one! 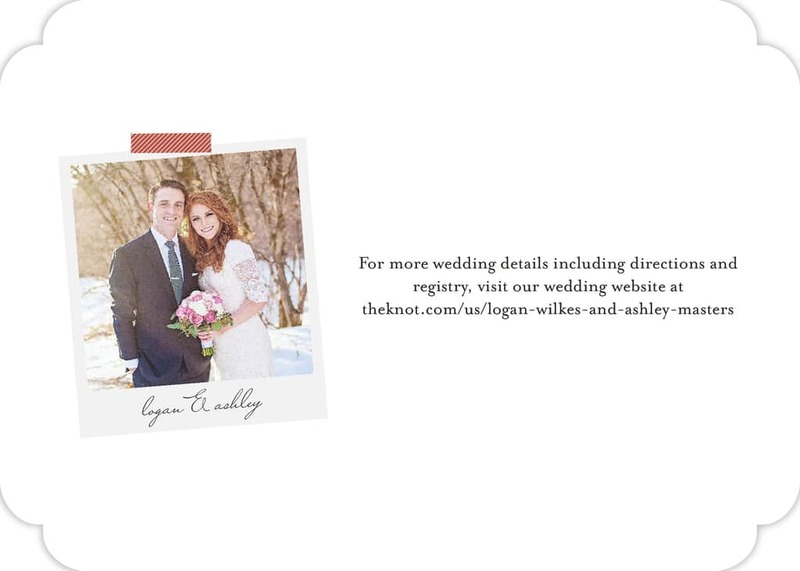 It is called Longwood Estates Wedding Invite and it worked perfectly. 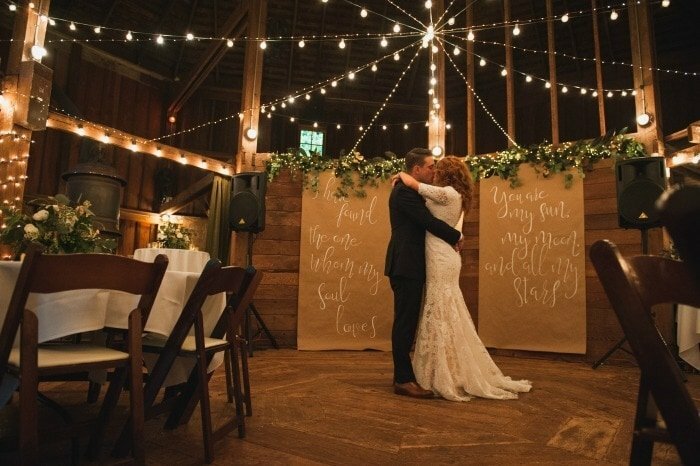 Here is a sneak peak of what our PDX wedding party looked like! I can’t wait to show you more!! Minted is also a great place to go for your Christmas card needs! Here is the design I used for our Christmas card last last year. 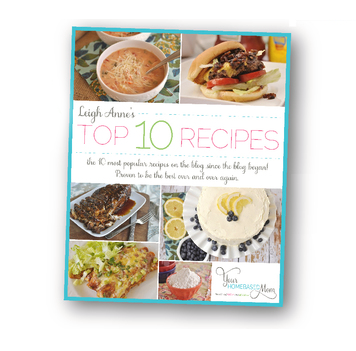 Have fun checking out all the wonderful cards and invites at Minted. I love all your ideas. Looks like you had some beautiful celebrations! Love Minted….my brother designs for them.